At Able Care, we believe navigating your home or place of employment should be an ordinary experience, not an obstacle course. Our needs change and evolve as time goes by, but this doesn’t mean our experiences should be limited as a result. You shouldn’t have to move, simply because of differences in your mobility. As a business owner, you shouldn’t deny the chance for exceptional employees, simply because of accessibility problems in your building. There is always a solution to create more opportunity—for both yourself and others—and that solution resides in Able Care Group. Our mobility solutions group can provide and install premier commercial and residential elevators, bringing accessibility back to your home and business—and life as well. 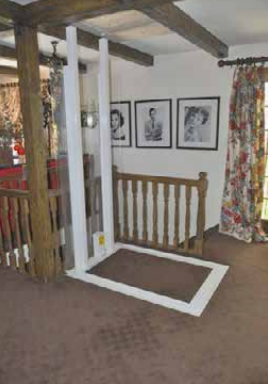 Learn about our elevator options, and contact our team today to get started! 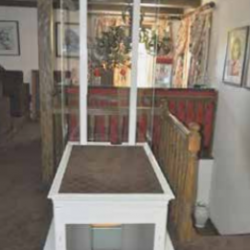 As we get older, the stairs in our home can become more and more of a challenge. In our earlier years, our beloved two-story homes was never an issue, and if anything, those stairs served us well for the majority of our lives. But times change and our abilities do as well, and an elevator can help to meet you where you’re at. 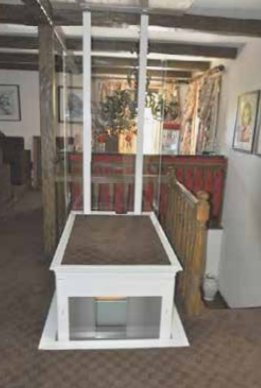 Instead of dreading the stairs, you can reach the second story of your home with ease. 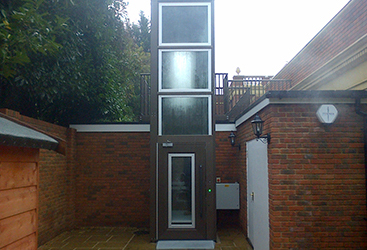 A residential elevator is the perfect solution for improving the mobility of your home. In addition to a residential elevator, a commercial elevator is an excellent way to not only improve business amongst clients, but a great method in providing opportunities for future employees of all abilities. Most architecture past 1992—the year the ADA came into effect—is more compliant to meet the needs of people with disabilities. But this isn’t always true with older buildings. Your two-story boutique might have an incredibly stylish staircase, but if the second story can’t be reached by customers and employees alike, your business could suffer or remain stagnant, rather than grow. 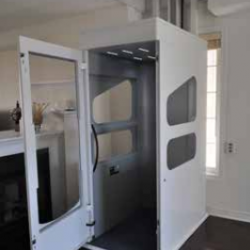 Whether looking for a commercial elevator or a residential elevator, the fact remains that mobility as a whole can be greatly improved. This can make such a difference in day-to-day activities, and life as a whole. Wheelchairs, walkers, or canes allow for mobility, but infrastructure and architecture can be unfortunately prohibiting. Much of this can present itself when looking into real estate. When looking to buy a house, your mobility needs can end up limiting your options. You might feel like it’s near impossible to find a house that can accommodate your work, your life, your commute, and your budget. At Able Care Group, we believe every person, of any and every ability, should equitable opportunities. 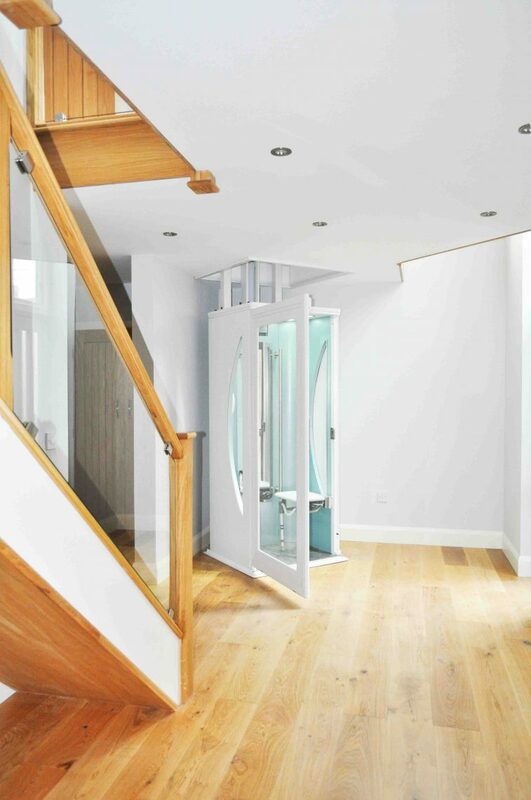 With our help in installing a home elevator, you could get the house you desire and turn it into your dream home. Or if your existing home has worked wonderfully in the past, but can no longer meet your needs, you can avoid having to move by customizing your home with Able Care Group. Homes are not the only thing that can benefit from adding a residential elevator—businesses can also experience a positive impact from a commercial elevator installation. 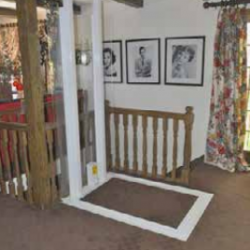 Rather than relocating your entire business, you could get a commercial elevator to make your establishment more accessible for all. A home or a business with stairs is fine for many people, but for many others, stairs can prove to be hazardous. 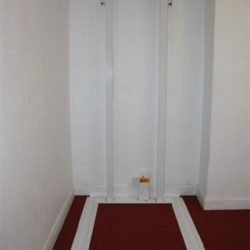 Especially for people who are at risk for serious injury from falling (such as the elderly, or people with different physical needs), a flight of stairs is not a good mobility option. By installing a commercial or residential elevator, you can create a safer alternative and environment for yourself and others. Considering that between 32 and 42 percent of adults over the age of 70 experience a fall, an elevator can be a great way to minimize risk for a large demographic of people (1). 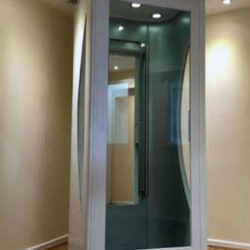 Often elevators are thought of as a bit clunky and metallic, and something that takes up a great deal of space. 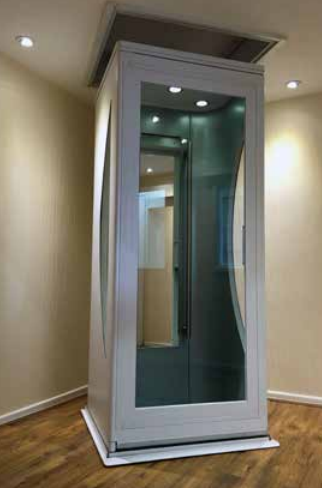 However, modern technology has created residential and commercial elevators with incredible modern aesthetic value. With these styles, you can have a commercial or residential elevator with a minimalist look that works tremendously well in a variety of room or building interiors, without taking up too much space. 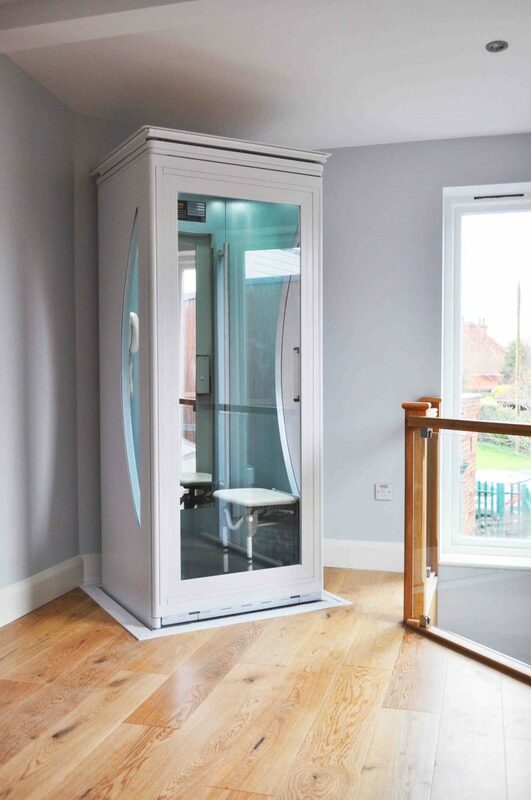 See the Wessex® elevator styles that can make an enormous difference in your home, business, or life itself—and as always, contact Able Care Group in New Jersey to get yours installed today! For parents of children with disabilities, this is a modernized mobility solution that can allow supreme supervision and care. Especially with younger children or for children with more severe disabilities, parents can take comfort in accompanying and comforting their child as they navigate their house. 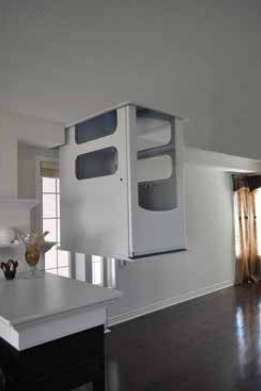 This enclosed home elevator doesn’t require you to have an additional wall as support. 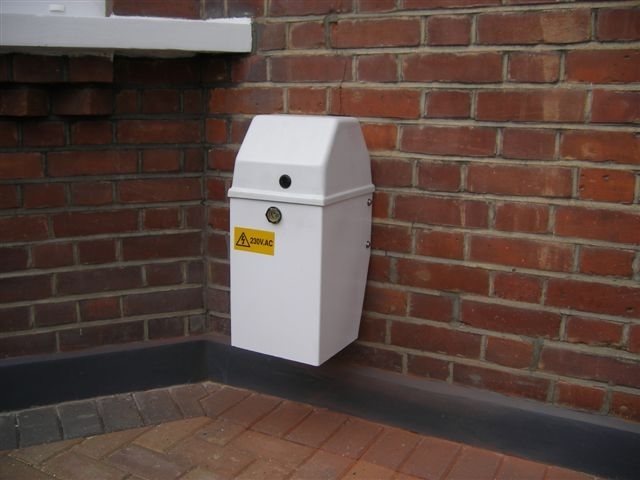 It can be installed at a number of rooms within your house, making it easier to plan on placement. 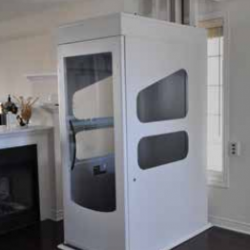 The VE Enclosed Home Elevator can be installed and ready to run in 1-2 days. 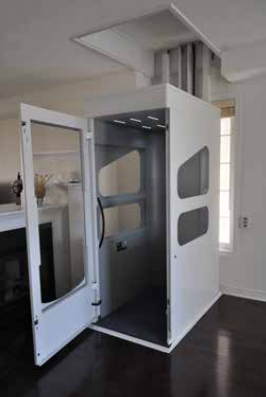 There are multiple ways to customize the VE Enclosed Home Elevator, including design options for the interior and a range of color choices. 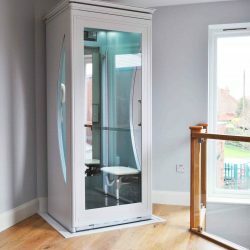 In addition to the Wessex VE Enclosed Home Elevator, Able Care Group is proud to offer installment options with the Wessex Elesse Home Elevator (3). Able Care Group is a Wessex approved distributor, and we are proud to offer this incredible product to our loyal patrons in the New Jersey area. 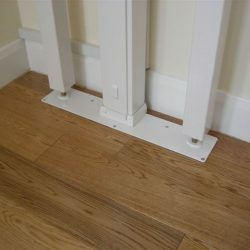 Designed in England, this modern mobility solution offers a look that would work wonderfully in a variety of homes. The tinted glass and solid colored exterior bring a minimalist approach, and a timeless style. 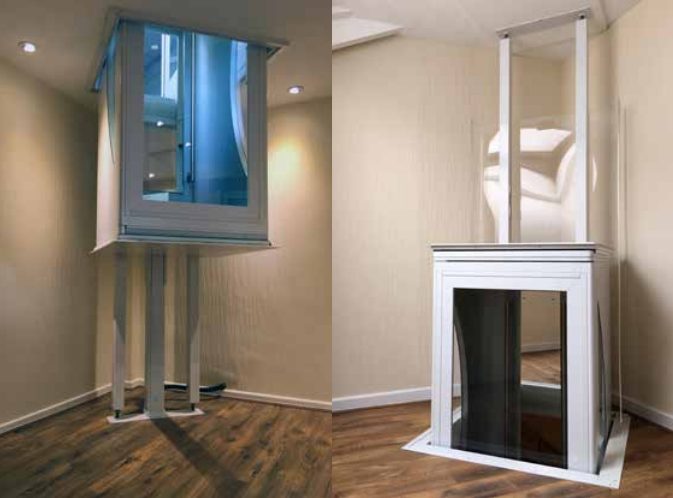 Taking up only 1.1 square yards, this the Elesse Home Elevator offers extreme space efficiency. 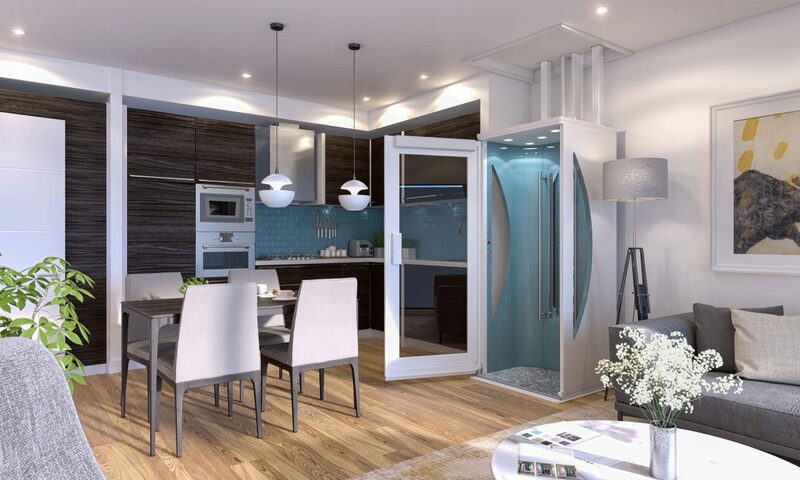 Very little room is required to have this elevator become a part of your home. There are a number of colors and finishes to choose from when ordering your Elesse. 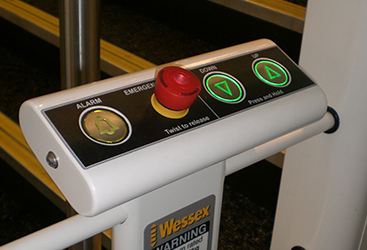 Additionally, the door and controls can be suited to the user (placed on the left or right side). 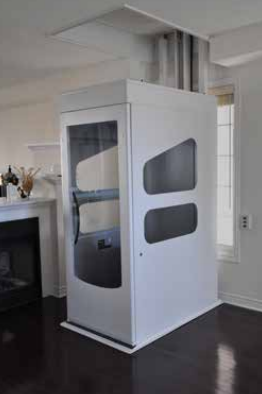 With the Elesse Home Elevator, you can travel with discretion. 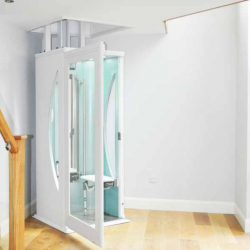 This user-friendly home elevator runs both smoothly and silently. 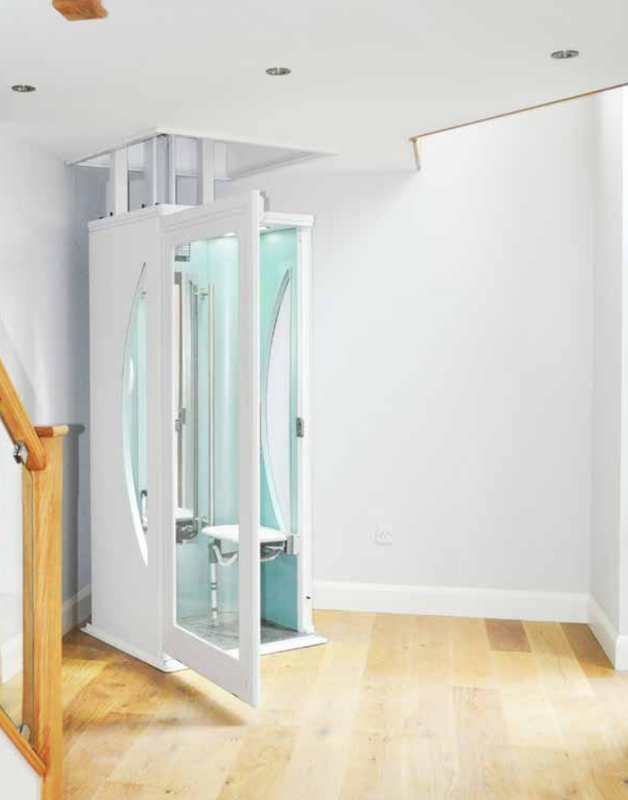 When you think the Elesse Home Elevator is the perfect fit for your home, your licensed and experienced team at Able Care Group can provide optimal installation. Call our team today! 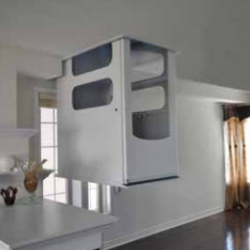 As we mentioned previously, there are many benefits to owning a residential elevator. 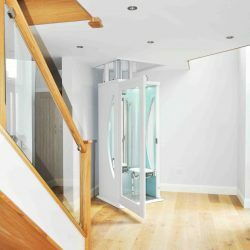 Diving in a bit further, see who might be an ideal candidate for having a residential elevator installed in their home. You or a loved one have had recent mobility changes. Referencing back to that statistic on the fall rates of people over the age of 70, we know that falls are fairly common for the elderly. All of us will experience physical changes, not only in our body’s capabilities, but also with our balance and coordination. This is an unfortunate part of the aging process, but not an uncommon one. 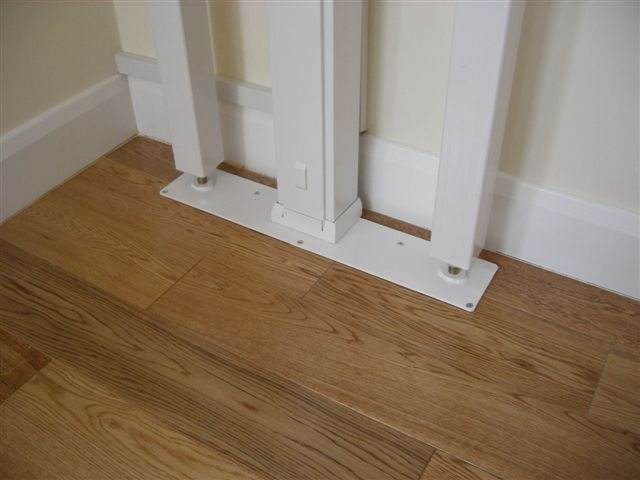 When getting up the stairs becomes challenging, and even dangerous, for you or your partner, this means it’s time to make some adaptations to fit your developing needs. At Able Care Group, we hope nothing ever happens to drastically change your mobility, but in the event that something does, we are here to make your transition as easy as possible. Your home doesn’t fit your family’s needs. A new addition to the family is always exciting, and no matter the case or no matter the abilities, it brings a new set of joys and challenges. You can’t plan on everything going exactly as you predict or expect, but an elevator can adapt to the needs of your family. 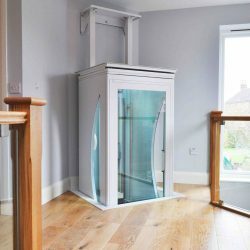 An elderly family member coming to live with you permanently, a newborn with adaptive needs who will eventually require a wheelchair—there are a number of situations where a home elevator can make your home accessible for each and every one of your loved ones. Your home doesn’t fit your mobility needs. 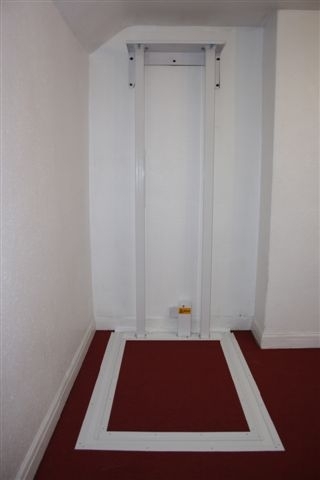 If you’re looking for a home and nothing is meeting your mobility needs, or if you have resigned to living on the first floor for the rest of your days, know that this doesn’t have to be the case. 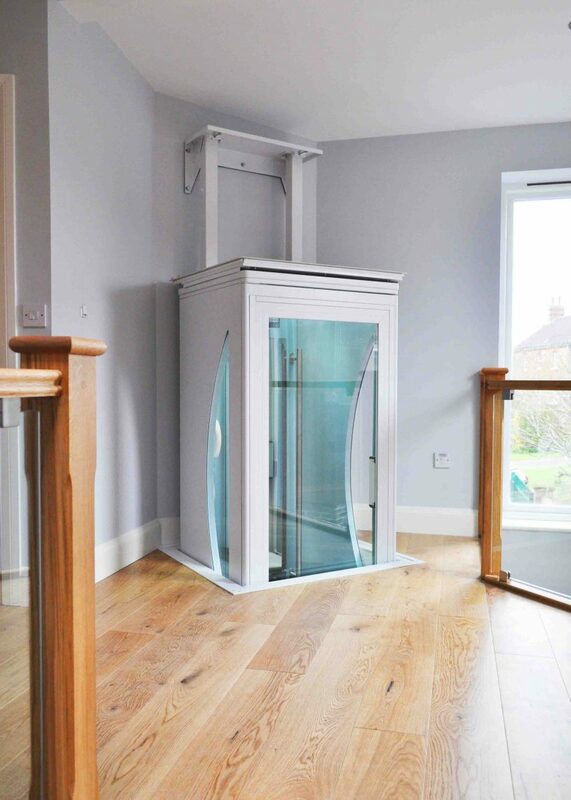 A home elevator can help your existing home or brand new home become a better and even more livable space—and it can become the space that you absolutely deserve. 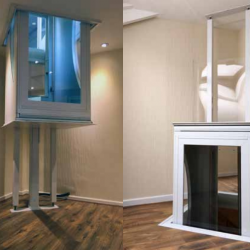 You want a home elevator! 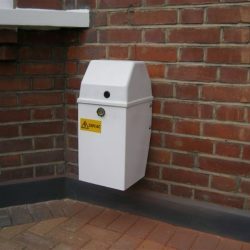 The Wessex brands bring forth a luxurious and stylish home option, and can add value to any home. 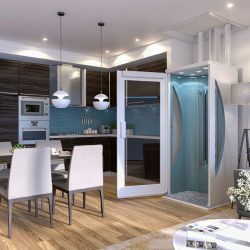 Your beautiful mansion or waterfront property might just reach the epitome of class by having a residential elevator installed in your abode. If you want an elevator, your New Jersey mobility solutions team can make it happen. 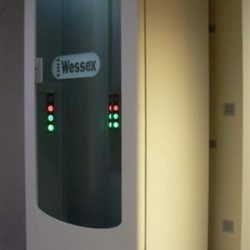 In addition to a residential elevator, the Wessex luxury elevators can make an incredible difference in your business, and help your business meet ADA compliance. As we’ve mentioned in previous blogs, meeting ADA compliance is a federal law that requires you to create accessible and equitable opportunities for persons of all abilities. Installing a commercial elevator is not only a solid way to meet ADA compliance, but also makes an incredible difference in the lives of so many—and has benefits for your business as well. Your employees and customers will greatly appreciate you not only considering their needs, but taking an active role in addressing them. 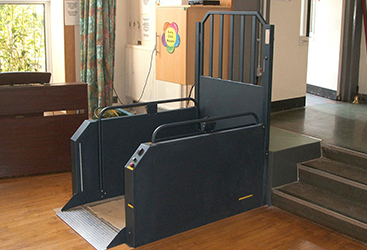 Commercial and residential elevators are a mobility solution that Able Care Group is happy to offer. 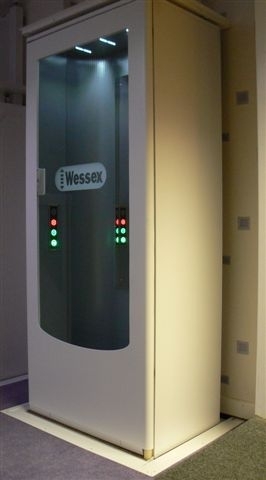 Through Wessex, we can bring you the utmost modern and technologically advanced elevator solutions, such as with the VE Enclosed Home Elevator and the Elesse Home Elevator. The needs of you, your loved ones, and frankly, the world, absolutely deserve to be met—not simply pushed aside. With Able Care Group, we can help take you there. We offer the mobility solutions that can make an impact in your life, as well as the lives of others. From wheelchair ramps to stairlifts, to platform lifts and everything in between, your first step for better mobility is with Able Care Group. Through us, you’ll find a compassionate team of experienced individuals, who are dedicated to bringing you the best in service and care. Because at Able Care Group, we believe experiencing life should be easy and enjoyable, not exhausting and avoidant. 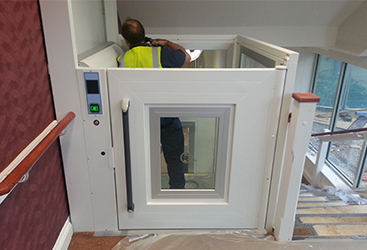 Call our team today to get your residential and commercial elevators installed; we’d be honored to work with you.